It’s a difficult time in America. Several years of attempted economic and social fixes have failed. Its major cities have reached a tipping point whereby any disaster, manmade or natural, would have devastating consequences. America is no longer seen by its friends or enemies as the “land of the free and the home of the brave.” Washington bureaucrats are involved in every decision and political correctness rules the day. The country that used to, only a few short years ago, project its military might outward to the world, has had its own military forces striped to the bone. No service has felt this impact more than the United States Navy. With only a fraction of combat vessels left to patrol the world’s oceans and keep peace in the world, decisions are no longer based on safety and National Security but by financial necessity. With most of its once mighty Navy staying in port, and the remainder stretched thinly across the globe, America’s enemies now have different words to describe America; weak…and very vulnerable. Some hobbies I enjoy are gardening and tinkering in my shop. I have been working, for the past several years, on developing a way to have a year round garden. It has been a challenge and if last night’s hard freeze is any indication, it proved that I still have a long way to go. In the summer months I enjoy working in our vegetable garden and with my orchids and other tropical plants. As the weather turns colder, I work very hard just keeping my tropical plants alive and well. Jonathan Patrick is a retired U.S. Air Force veteran who lives with his wife and two children in the Carolinas. His military career took him to many countries around the world and exposed him to the inner workings of several key intelligence agencies and programs. He has recently begun work on his second novel. 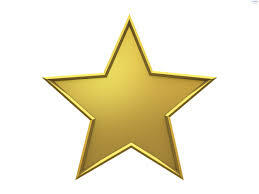 So first I want to send out a huge congratulation’s to Mr. Jonathan Patrick for an awesome debut novel. The second thing I have to say about “Checkmate” is …WOW! There is just so much going on in the story and I don’t mean that in a bad way! While reading, there was never a moment where I felt I needed to step away. Well that’s not entirely true because I got really sick and HAD to step away for 4 days! 😉 Horrible I know, had I been 100% healthy I would have finished this book in 2 sittings. I have in the past voiced my concerns when authors write novels from the perspectives of different characters point of views. And in “Checkmate,” Patrick did just that. Thank the heavens they were all written exceptionally well. I loved how Patrick was even able to show us that even the bad guys have “lives,” they have families and possibly do the things they do, not because they choose to, but because they are forced to by the true villain. I also loved that in the midst of all the madness and chaos he made me laugh and smile. I must say, my favorite characters were Mitch and Jewels. To me they symbolized hope. So in true Entirely Books form, I will not spoil this amazing story for you however, I do highly recommend it to anyone who likes suspenseful roller-coaster rides this book is definitely for you! 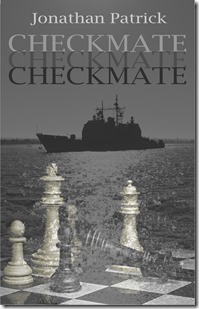 I’m not the only one that love it Checkmate has received several other 5 star reviews!! Head on over to Amazon and grab your copy! Link provided below.